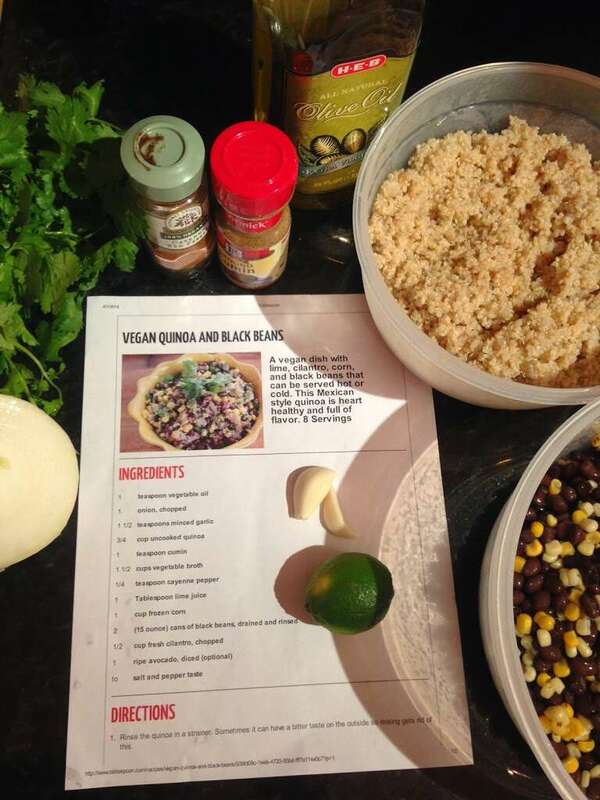 I’ve got another quinoa lunch/snack/light dinner recipe (still on my quinoa kick). This one is from TableSpoon from A Girl Who Ate Everything. 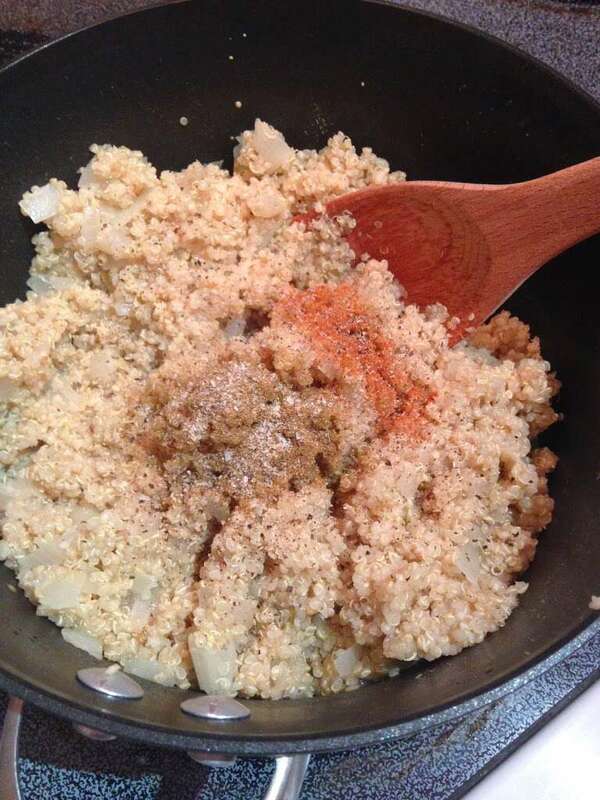 I had quinoa already cooked from a previous recipe so after sauteeing the onion and garlic, I put it in and continued with the recipe so that it would get heated through with all the spices and everything. 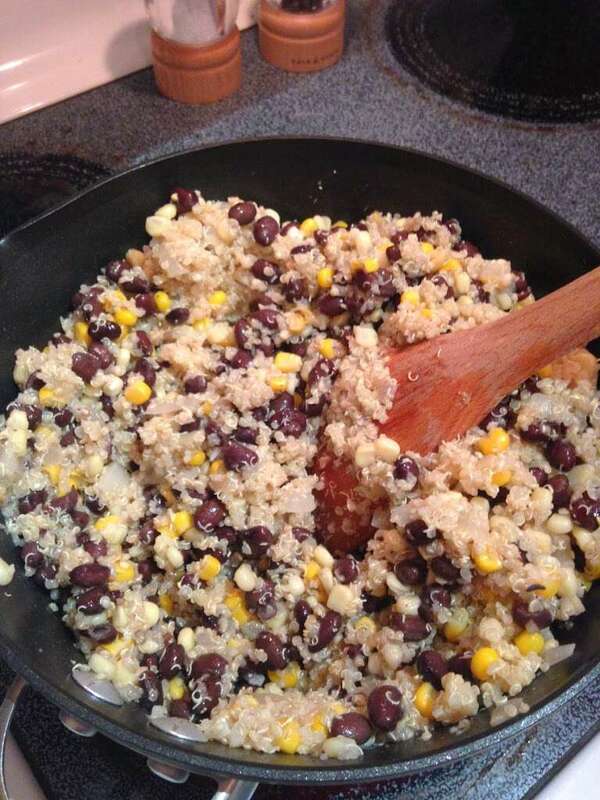 Since the quinoa was already cooked, this took me all of maybe 15 minutes to make but I’m sure it would be way more flavorful if the quinoa got cooked as the recipe says so I’ll try that next time. I also found that it needed much more lime and alot of salt for my taste. 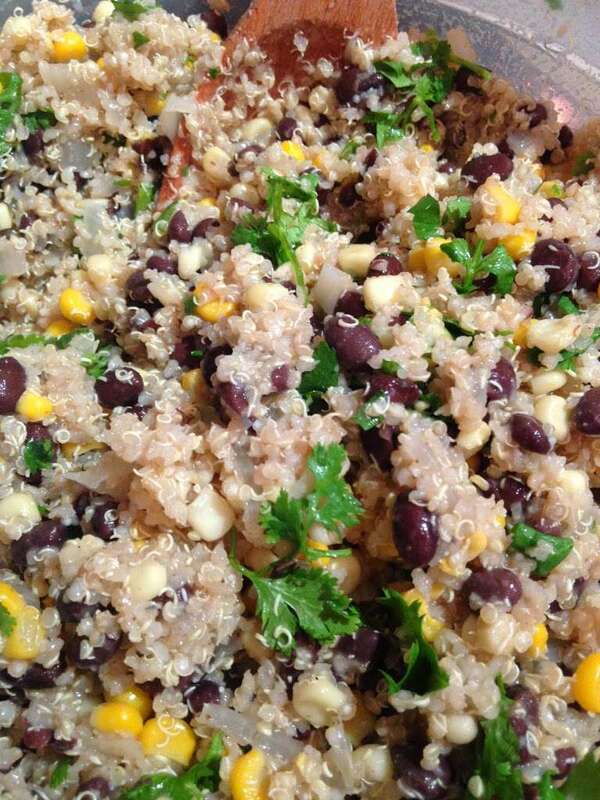 These quinoa salads have been awesome for lunch, they’re super fresh!